Brianna Davison, known around town as “SHERO,” is an extremely Gifted woman with an exceptionally big heart. In 2018 Davison discovered her calling after meeting a child who loses her hair due to a difficult illness. 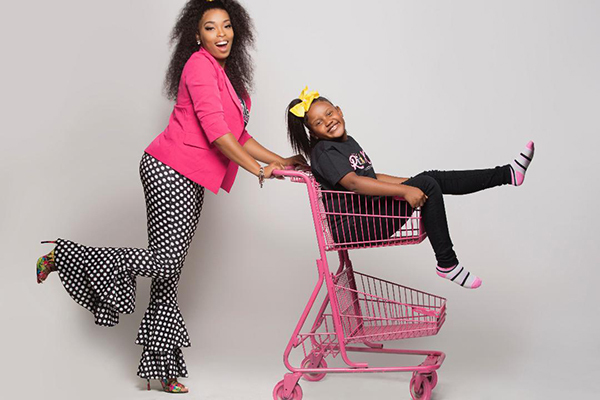 Inspired by this, Brianna decided to sow into the lives of young girls, designing specific wigs that were more lifelike for little girls, who are suffering from cancer and other illnesses. After a viral social media post and a press interview with Memphis local WREG News, “Rich Kids Collection” was created. Today Brianna is expanding her business by taking her Kids Wigs on tour to offer more charitable services for children all over the world who suffer from hair loss conditions. 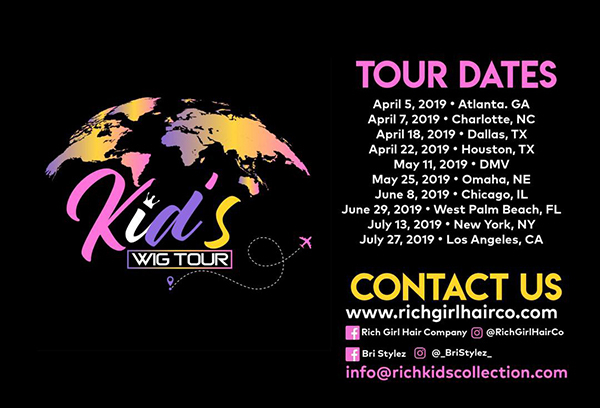 Kids Wig Tour is a giveaway tour. Brianna will be traveling to 10 cities and giving away a wig in each city. After salon hours several nights a week, Brianna spends quality time giving back to her community as a volunteer at St. Jude Children’s Research Hospital. This time is specifically dedicated to an established program called “The Happy Cart.” It’s exactly what it says a “happy cart” which goes to inpatient kids rooms to offer patients and families a welcome distraction. During this shift, the Happy Cart is the bearer of happiness to both the children and parents. brianna has a Kids Fashion Show coming up in September for Alopecia & Cancer Awareness Month. She’ll be honoring all the girls who participated in the Kids Wig Tour. The show will be in Memphis, Tennessee. For more on Rich Girl Hair Company, click here!